Last year’s 70% increase in production capacity has quickly withered in the face of your seemingly insatiable thirst for all things Foothills. So we’ve made some long-range plans for expansion that should keep the Hoppyum happening for years to come. And we’d like to share them with you. So put your beer down for a sec and read on. MAY 2014: We will finalize purchase of the 48,000 square-foot facility we have been leasing since December 2010. 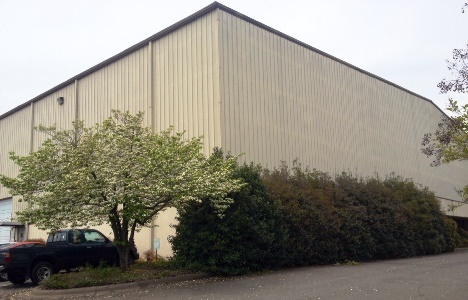 Located just south of Hanes Mall Boulevard in southwest Winston-Salem, we’re hoping this building and its surrounding property will eventually help define the Triad beer scene (more on that below). Future home of our tap room. Minus the vegetation. JULY 2014: We’re constantly asked about scheduled brewery tours, which we currently don’t give (nothing personal). We would love to have you come visit, but wanted to wait until we could make it worth your while to come see us. So we’re building a tap room at our production brewery, in hopes it will be open by the end of the year and become a mecca for Triad craft beer lovers. So you can come tour the place, taste some beer, throw darts, play bocce ball, and hang out with us. 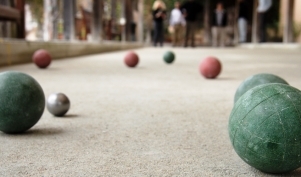 But be warned – we play to win at bocce. Seriously. Don’t mess with us. 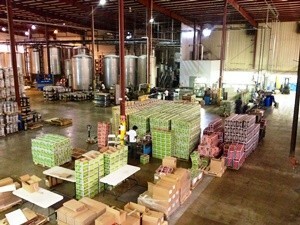 All this planning is the result of increased demand for our beer. 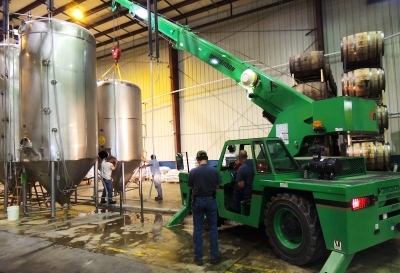 So, in essence, every new piece of equipment is a big stainless steel ‘thank you’ to you, our loyal Foothills family. So stay tuned – and stay thirsty. Categories: Uncategorized | Tags: beer, brewery, craft beer, North Carolina craft beer | Permalink.